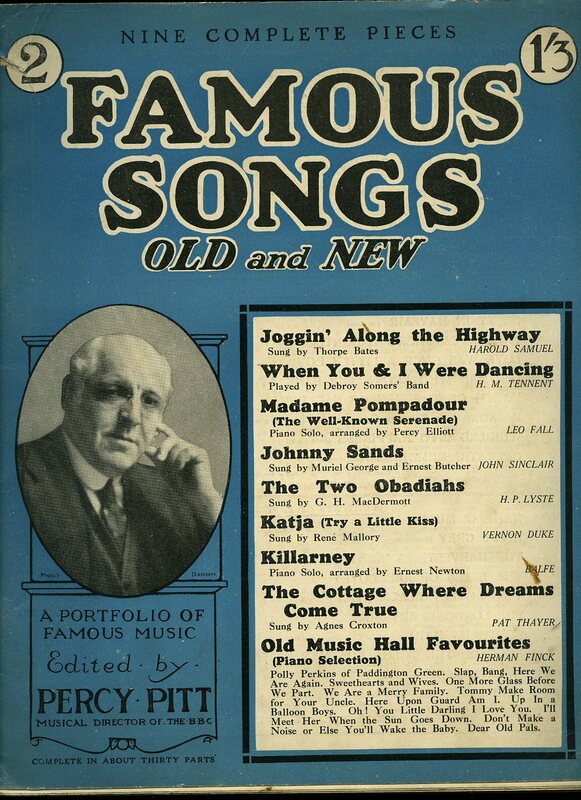 Published by Montgomery and Co., 5 Denmark Street, London 1929. 1929. 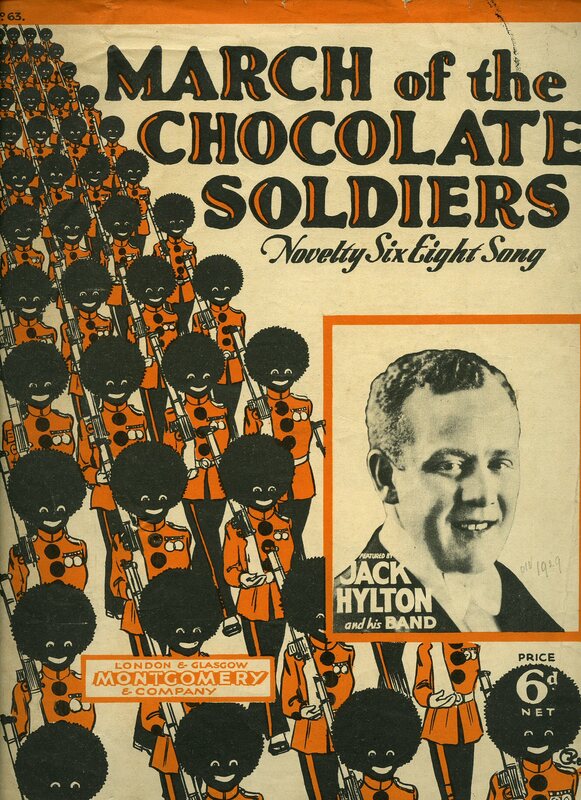 Vintage piano sheet music in illustrated orange and white paper covers with photograph of Jack Hylton to the front cover. 12'' x 9''. Contains 4 pages. Scored for voice and piano with lyrics. In Very Good condition. Member of the P.B.F.A. Published by Éditions Méridian 95 Rue La Boétie, Paris 1945. 1945. Vintage sheet music without any covers. 10¾'' x 7''. Contains 20 pages (piano part concertina) folding sheet music. In Very Good condition. Member of the P.B.F.A. Published by Éditions Parigot Rue Origet 103, Tours circa 1945. 1945. 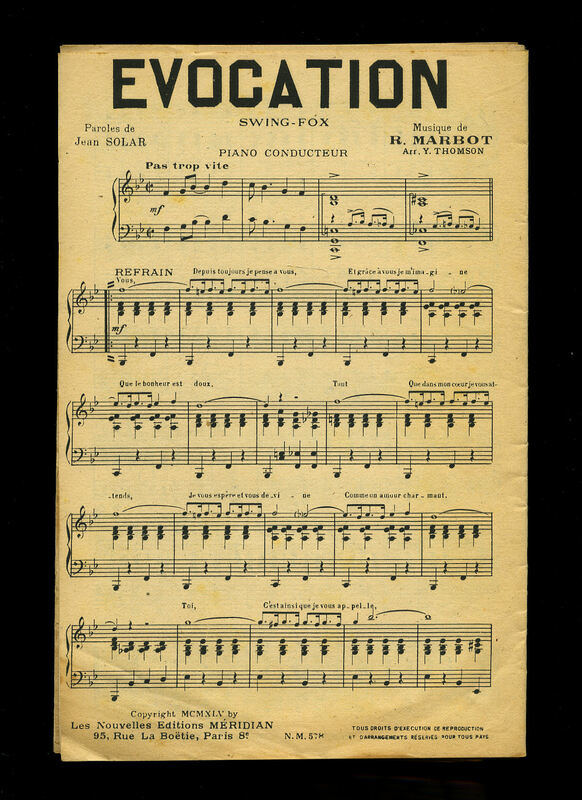 Vintage sheet music without any covers. 10¾'' x 7''. Contains 6 pages folding sheet music. In Very Good condition. Member of the P.B.F.A. Published by B. Feldman & Co. 125-129 Shaftesbury Avenue, London 1930. London 1930. 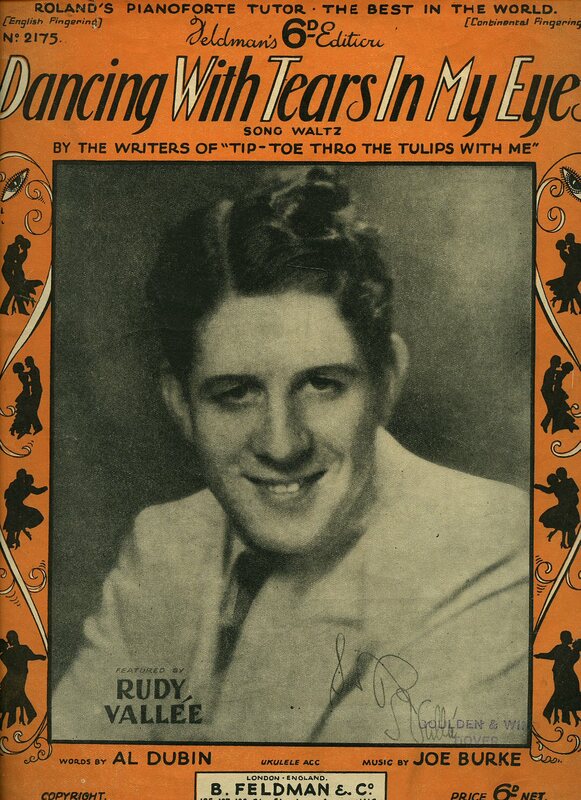 Piano sheet music in colour paper covers with monochrome photograph of Rudy Vallée to the front cover. 12'' x 9'' with 4 pages of score. Covers clean and in Very Good condition. Member of the P.B.F.A. Published by B. Feldman & Co. 125-129 Shaftesbury Avenue, London 1950. London 1950. 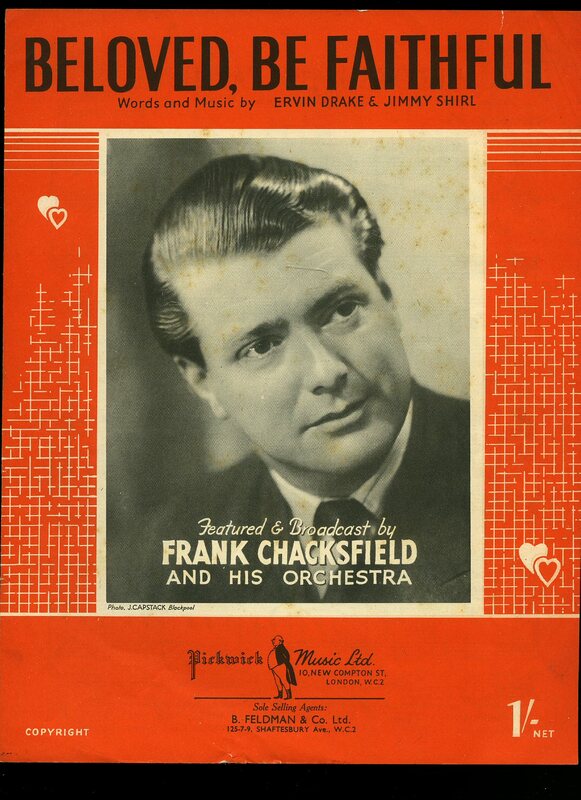 Piano sheet music in colour paper covers with monochrome photograph of Frank Chacksfield to the front cover. 12'' x 9'' with 4 pages of score. Covers clean and in Very Good condition. Member of the P.B.F.A. Published by Éditions Universelles, 52 Faubourg, Saint Martin, Paris circa 1955. 1955. Vintage sheet music without any covers. 10¾'' x 7''. 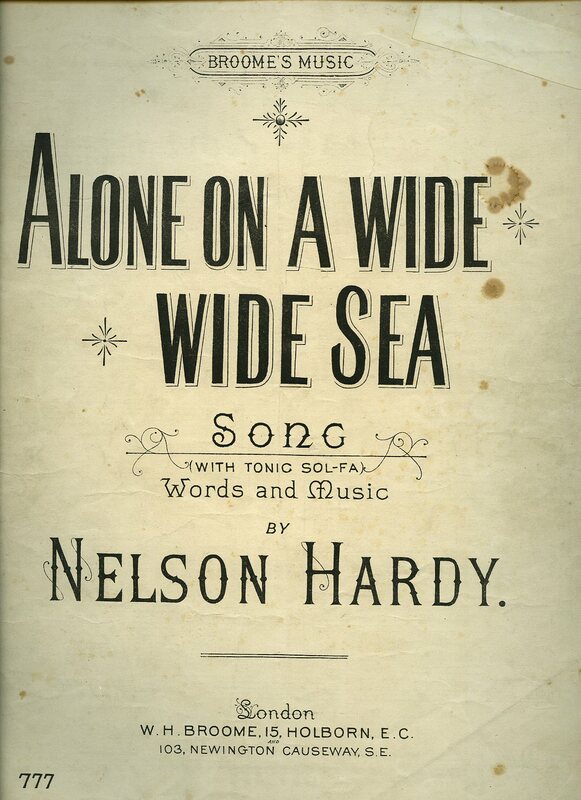 Single sheet music with printed score on both sides. In Good condition. Member of the P.B.F.A. Published by Francis Day & Hunter Ltd., 138-140 Charing Cross Road, London 1950. 1950. Vintage piano sheet music in colour illustrated printed paper covers. 11'' x 8½''. Contains 4 pages folded sheet music including the covers. Scored for voice and piano with lyrics. In Very Good condition. Member of the P.B.F.A. Published by Ron Gonnella 27 Sauchie Place, Crieff 1979. 1979. 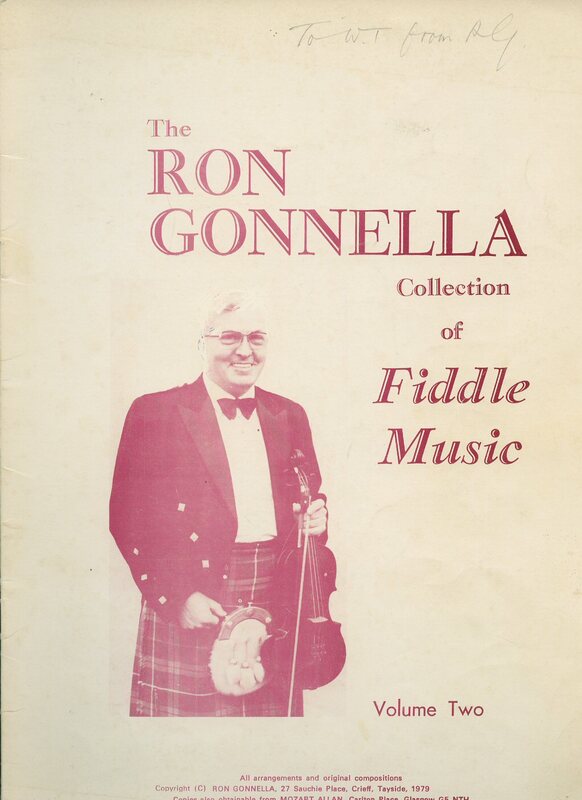 Sheet music in stiff white card covers with photograph of Ron Gonnella to the front. 16 printed pages. In Very Good condition. SIGNED presentation copy to the top front cover 'To W.T. from R.G.' Newspaper clipping about Ron Gonnella loosely enclosed. Member of the P.B.F.A. 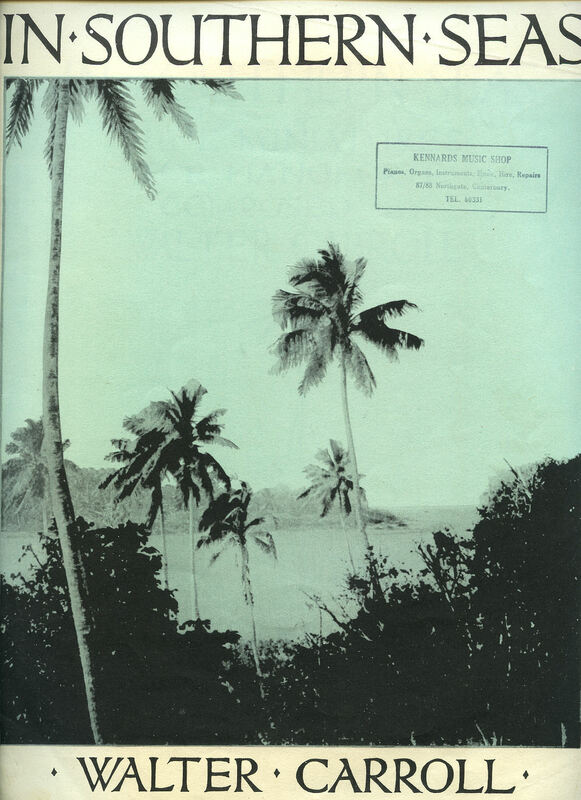 In Southern Seas | Nine Miniatures for Pianoforte [Vintage Piano Sheet Music] Comprising: The Isle of the Palms; By Dimpled Pool; Spraymist; From Ship to Shore; The Reef; Flakes of Foam; A Stormy Coast; Night's Shining Peace; and Samoan's Dance. Published by Forsyth Brothers Ltd., 190 Grays Inn Road, London 1922. 1922. Vintage piano sheet music in illustrated printed paper covers. 12'' x 9½''. Contains 12 (+ covers) pages folded sheet music. Scored for piano. In Very Good condition. Member of the P.B.F.A. Henri Bourtayre and Louiguy (Music) Louis Guglielmi (3 April 1916 - 4 April 1991), known by his nom de plume Louiguy, was a Spanish-born French musician of Italian extraction. He wrote the melody for Édith Piaf's lyrics of "La Vie en Rose" and the Latin jazz composition "Cerisier rose et pommier blanc", a popular song written in 1950, made famous in English as "Cherry Pink and Apple Blossom White)", which was recast as a resounding mambo hit for Pérez Prado. Published by Éditions Paul Beuscher, 27 Boulevard Beaumarchais, Paris 1944. 1944. 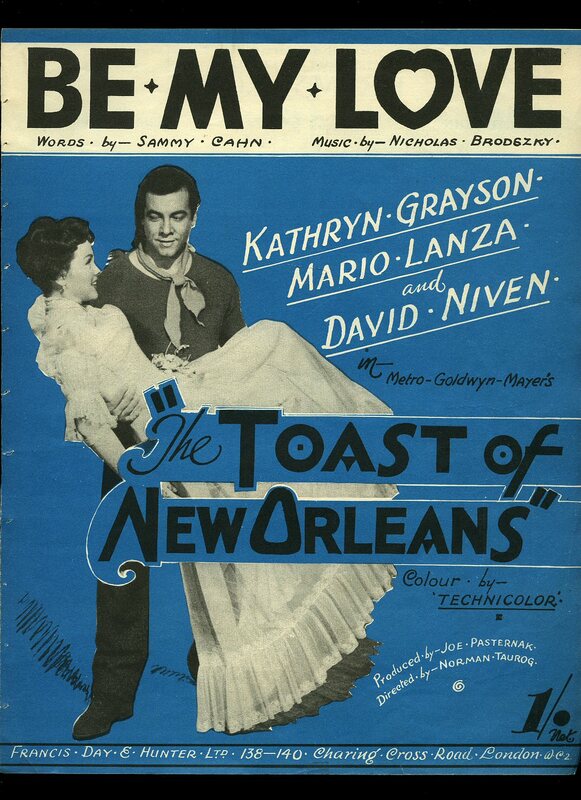 Vintage sheet music without any covers. 10¾'' x 7''. 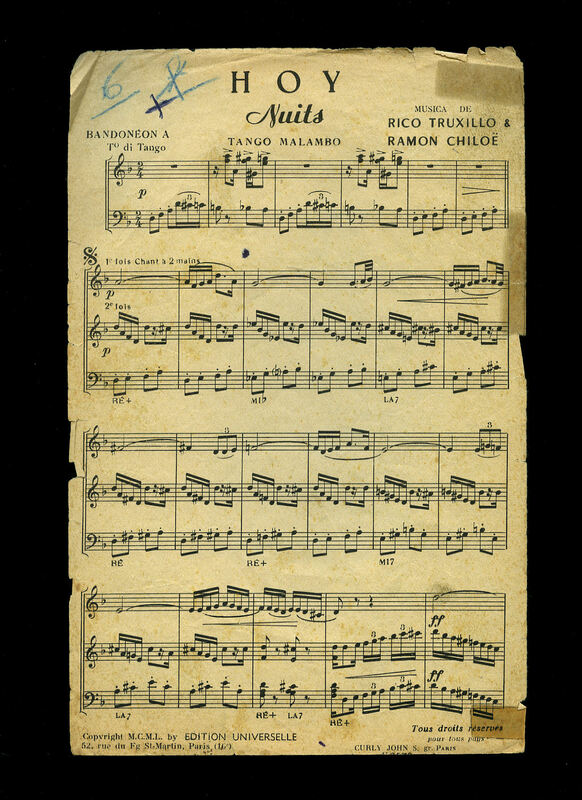 Single sheet music with printed score on both sides. In Very Good condition. Member of the P.B.F.A. Published by Chappell & Co. Ltd., 50 New Bond Street, London 1948. 1948. Publisher's original stapled illustrated card covers. 4to 11" x 8½" 18 pp. Colour illustrations with text around, musical score by Phil Park. Internal clear tape repairs to the edges. Only Good condition. Member of the P.B.F.A. Published by W. H. Broome, 15 Holborn, London 1896. 1896. 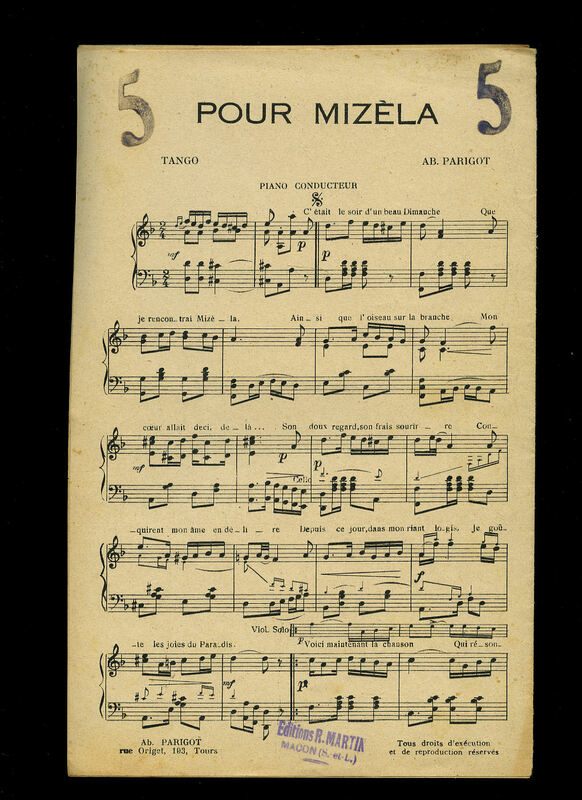 Vintage piano sheet music in white paper covers. 14'' x 10½''. Contains 6 pages including the covers. Scored for voice and piano with lyrics. Repaired tears to the edges and front cover and in Good condition. Member of the P.B.F.A. Published by Ascherberg, Hopwood & Crew, Ltd., 16 Mortimer Street, London 1917. 1917. 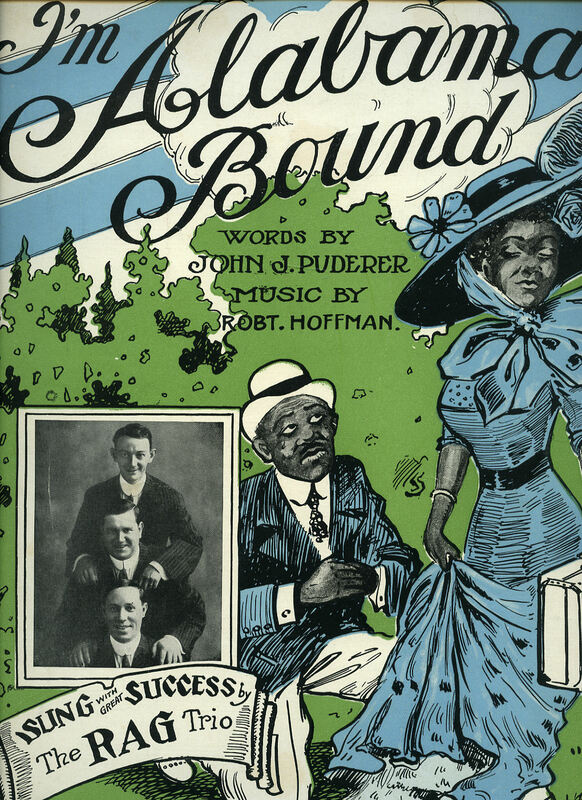 Sheet music in photographic card covers with Percy Pitt to the front cover. 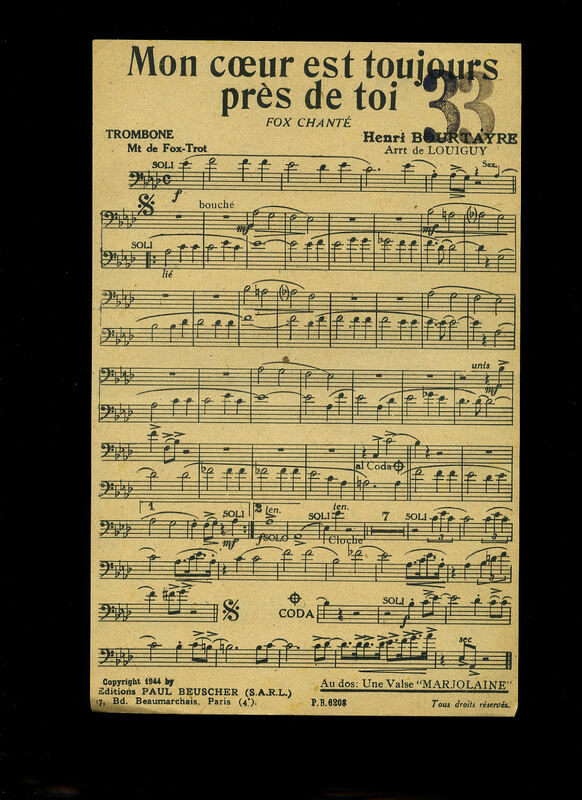 11'' x 9½'' with 32 pages of score. In Good clean condition with rusty staples and repaired tear of the outer covers down the spine. Member of the P.B.F.A. Published by Éditions Paul Beuscher, 27 Boulevard Beaumarchais, Paris 1953. 1953. 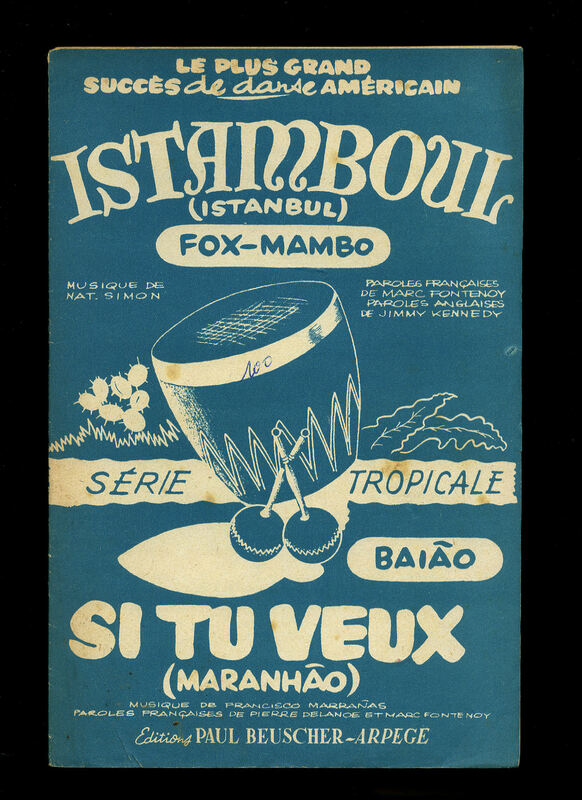 Vintage sheet music in turquoise and cream printed paper covers. 10¾'' x 7''. 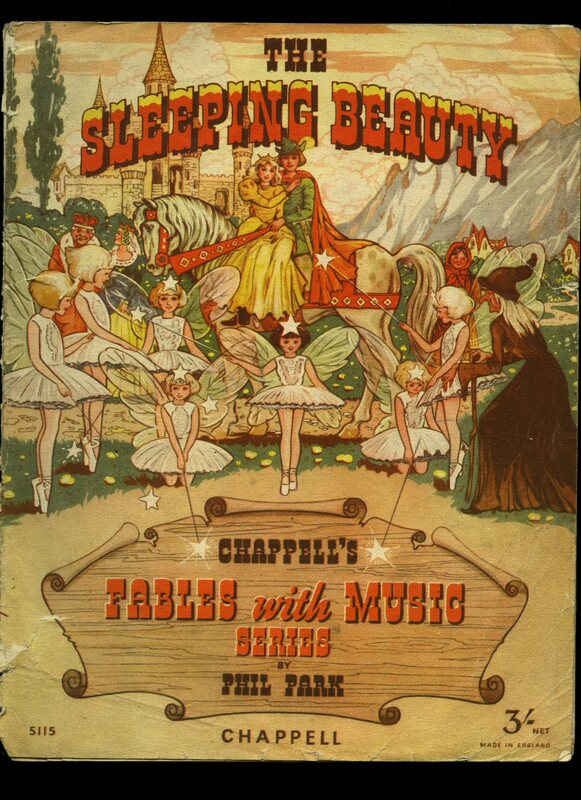 Contains 12 pages folding sheet music including the covers. In Very Good condition. Member of the P.B.F.A. Published by Jerome H. Remick & Co. Music, Detroit and New York First Edition 1911. 1911. Vintage piano sheet music in colour illustrated printed paper covers. 13½'' x 10¾''. Contains 6 pages folded sheet music including the covers. Scored for voice and piano with lyrics. In very near Fine condition. Member of the P.B.F.A.